The latest World Economic Outlook report released on Tuesday by the International Monetary Fund (IMF) has revised downwards Malawi’s Gross Domestic Product (GDP) growth for 2018. The Bret ton Woods institution has predicted the local economy would grow by 3.3 percent, down from an earlier prediction of 4 percent. The report — published twice a year, in April and October — is widely read by both public and private sector players globally for the IMF’s assessment of the world economy. The latest edition was released as thousands of finance officials and professionals gather in Bali, Indonesia, for the IMF and World Bank annual meetings. The latest prediction is 0.8 percentage points shy of the 4.1 percent forecast Finance Minister Goodall Gondwe pronounced in the 2018/19 budget statement. The outlook has, however, not given reasons for the reduced economic growth in 2018. The IMF has further predicted that the economy could swell by 4.7 percent in 2019 and 6.5 percent in 2020. Malawi needs a GDP growth of at least six percent to maintain poverty levels and above six percent to reduce it. In June this year, the World Bank predicted in its Global Economic Prospects Report for 2018 that the economy would grow by 3.7 percent. In its Post Budget Analysis, the Malawi Confederation of Chambers of Commerce and Industry (MCCCI) said Malawi needs a growth rate of at least seven percent sustained over a period of not less than six years to bring a meaningful change to the economic development of the country. “The quality of growth and the sectors in which the growth is generated matters. It is a very well-known fact that sustainable growth cannot, and will not, happen without private sector prosperity. This sector has the potential to have a transformative impact on a struggling economy like Malawi and shift the economy from an agriculture based economy to an industrial based one. “More and more countries in sub-Saharan Africa are shifting towards value addition through industrialisation. Industrialisation, driven by private sector growth, has all the pre-requisites of mopping out unemployment which is one of the major challenges that Malawi is grappling with today,” MCCCI said. The IMF has also cut its global growth forecasts as trade tensions between the United States (US) and trading partners have started to hit economic activity worldwide. The IMF said the global economy is now expected to grow at 3.7 percent this year and next year — down 0.2 percentage points from an earlier forecast. 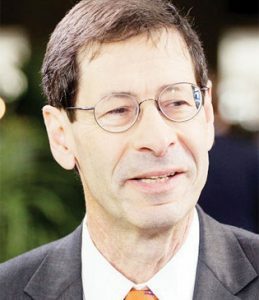 IMF Chief Economist, Maurice Obstfeld, said earlier projections now appear to be “over-optimistic” given that risks from “further disruptions in trade policies” have become more prominent. “Two major regional trade arrangements are in flux — Nafta (where a new trilateral agreement awaits legislative approval) and the European Union (with the latter negotiating the terms of Brexit). US tariffs on China, and more broadly on auto and auto part imports, may disrupt established supply chains, especially if met by retaliation. “The impacts of trade policy and uncertainty are becoming evident at the macroeconomic level, while anecdotal evidence accumulates on the resulting harm to companies. Trade policy reflects politics, and politics remain unsettled in several countries, posing further risks,” Obstfeld said.